The London Canal Museum documents the history of the capital's canals. Book your ticket in advance to visit this fascinating attraction. This museum tells the story not only of the capital's waterways, the people who built them and worked on them, but also of the ice cream craft! The museum building is a former ice warehouse that belonged to a well-respected ice-cream maker in the 19th century. You can see a large Victorian ice well used to store ice brought in from Norway, as well as a delicious visual history of ice-cream making. The museum has particuarly interesting exhibits on the ice cargo trade and ice-cream making. 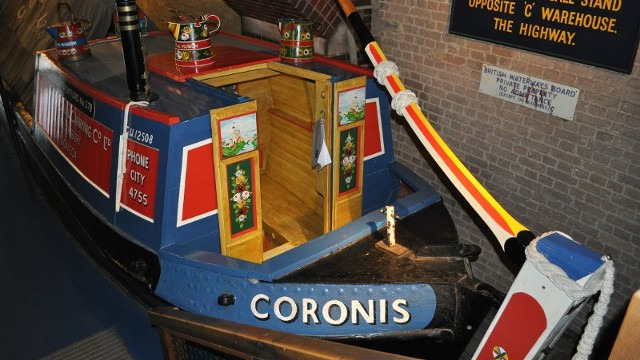 Visitors can also see the inside of a narrowboat canal cabin and discover the history of Canal Craft, the use of horse power and see an old map of the London Waterways. Tuesday - Sunday 10.00 - 16.30; Open until 19.30 on the first Thursday of every month. Last admission is 30 minutes before closing. Closed on Mondays, except Bank Holidays. Closed: 24th-27th December and Monday 31st December. Don’t miss Divento’s nearby amazing places. Our handpicked selection of boutiques, bars, cafes and restaurants.